◊ These clamp-on rigid couplers have much more clamping strength than the set-screw type couplers. ◊ These couplers will not damage the shaft. ◊ Tighten the screws about 1 turn past snug. Do not over tighten, a little torque will clamp these on really tight. For best results, re-tighten after a couple hours of use. Size "A" couplers for 1/4" and M6 threads are available on their components pages. $14.25 ea. 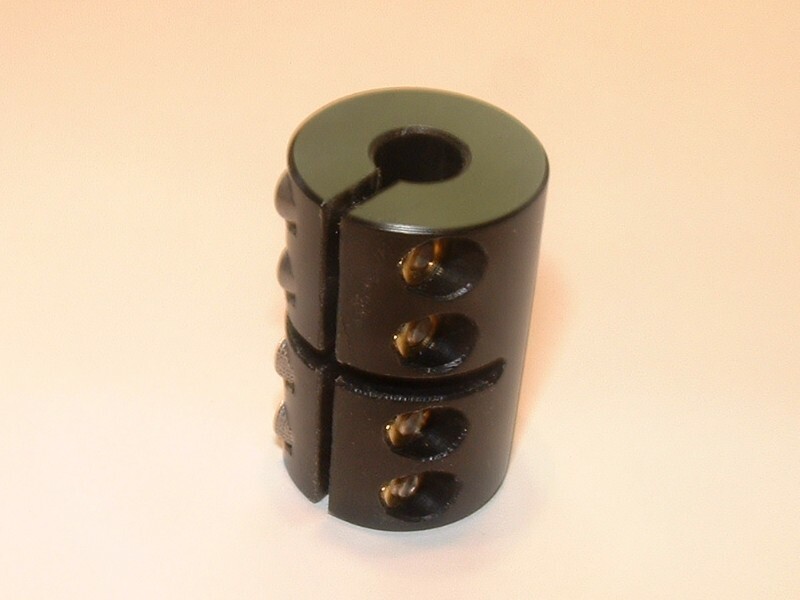 Size "B" couplers for 3/8" and M10 threads are available on their components pages. $15.25 ea. 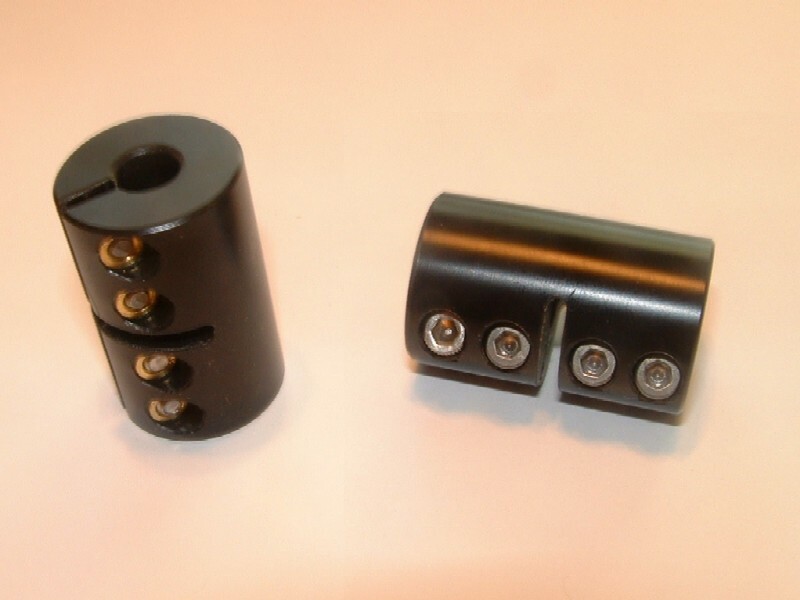 Size "C" couplers for 1/2" and M12 threads are available on their components pages. Size "D" couplers for 5/8" threads are available on their components pages.